Tin Tipper : Dumpster Rental is an all-inclusive private waste disposal company offering 10, 15, and 20 yard dumpster rentals in Cape Coral. We service both residential and commercial customers in the Bonita Springs and Surrounding areas. Please feel free to call, email or use the text button to the right corner for any questions. You’re in good hands, let us know what you need. 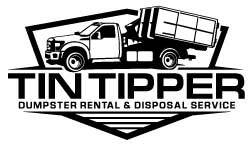 Why Choose Tin Tipper for Dumpster Rentals in Bonita Springs, FL? Enjoy your new space, and call us again next time for all of your dumpster rental needs in Bonita Springs! Renting dumpsters from TIN TIPPER gives back to our local Bonita Springs and surrounding community! Call us today for you next Dumpster Rental needs on Bonita Springs, FL!